The Riigikogu passed with 76 votes in favour the State Borders Act and Other Acts Amendment Act (117 SE), initiated by the Government. 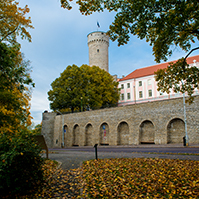 Estonian Acts are harmonised with the rules and regulations arising from the Schengen Convention established in the European Union common visa area, which give Estonia the opportunity to participate as a full-fledged member in the European Union common visa area. Schengen is an area without internal borders in which the free movement of persons is ensured. In view of the geopolitical situation of the Republic of Estonia, a distinction must be made between internal border and external border. The amendments specify the procedure for crossing the state border, acts at border control, the establishing of border control at internal border, temporary restriction or suspension of crossing of the state border, and restrictions on the movement and staying of persons in the area adjacent to the border. This Act also amends the Public Information Act, the State Secrets and Classified Foreign Information Act, the Riigi Teataja Act and the Obligation to Leave and Prohibition on Entry Act. 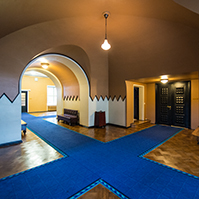 This Act enters into force as of Estonia’s accession to the European Union common visa area, § 2 of the Act enters into force on 1 January 2008 and § 3 enters into force on the tenth day after publication in the Riigi Teataja. Nobody voted against the Act and nobody abstained. 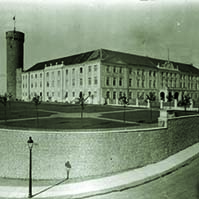 The Riigikogu extended the time limit of the use of the Estonian defence forces in the performance of international duties of the Estonian state under the international peacekeeping mission in Afghanistan (141 OE) with up to 150 members of the Defence Forces until 31 December 2008. 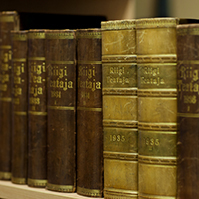 69 Members of the Riigikogu voted in favour of the Resolution, nobody voted against, one Member of the Riigikogu abstained. The Riigikogu extended the time limit of the use of the Estonian defence forces in the performance of international duties of the Estonian state under the international peacekeeping mission in Bosnia and Herzegovina (142 OE) until 31 December 2008, with reduction in the composition to up to five members of the Defence Forces. 74 members of the Riigikogu voted in favour of the Resolution, nobody voted against and nobody abstained. The Riigikogu appointed with 72 votes in favour Veiko Hintsov, Auditor of Deloitte Audit Ltd., for supervising the activities of the State Audit Office in 2007 (157 OE). Nobody voted against the Resolution and nobody abstained. On the motion of the Cultural Affairs Committee as the leading committee, the second reading of the Bill on Amendments to the Basic Schools and Upper Secondary Schools Act and the Vocational Educational Institutions Act (115 SE) , was concluded. Pursuant to the amendments, a starting assistance will be paid to teachers who are starting at their first teaching post at school, in the amount provided for in the annual State Budget Act. The proposed amount of the starting assistance of a teacher is 200,000 kroons in 2008, which is going to be paid to teachers who comply with the requirements provided for in the Bill, within the first three working years – 100,000 kroons in the first year and 50,000 kroons in the second and the third year, respectively. The Bill was sent to the third reading. On the motion of the Economic Affairs Committee as the leading committee, the second reading of the Bill on Amendments to the Postal Act (148 SE), initiated by the same Committee, was concluded. The purpose of the Bill is to exclude the delivery of periodical publications from the scope of the universal postal service and to ensure equal conditions for all market participants in the delivery of periodical publications. The Bill was sent to the third reading. On the motion of the Social Affairs Committee as the leading committee, the first reading of the Bill on Amendments to the Social Benefits for Disabled Persons Act and Associated Acts (159 SE), initiated by the Government, was concluded. Pursuant to the amendments, the benefits for disabled persons of working age will be increased by 30 per cent. The monthly benefit will be calculated as a percentage of the rate of social benefits for disabled persons, equalling to 210 per cent in event of a profound disability, 140 per cent in event of a severe disability and 65 per cent in event of a moderate disability. The rate of social benefits for disabled persons is 400 kroons in 2008. The Bill was sent to the second reading. On the motion of the Social Affairs Committee as the leading committee, the first reading of the Bill on Amendments to the Alimony Act (156 SE), initiated by the Estonian Reform Party Faction, the Pro Patria and Res Publica Union Faction and the Social Democratic Party Faction, was concluded. The purpose of the Bill is to eliminate problems relating to the implementation of the Alimony Act with a view to preventing the potential ambiguities upon implementation of the Act. The Bill was sent to the second reading. 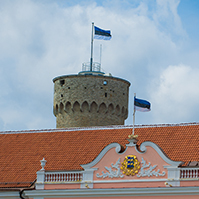 On the motion of the Constitutional Committee as the leading committee, the first reading of the Bill on Amendments to the Political Parties Act (111 SE), initiated by the Estonian People’s Union Faction, was concluded. The Bill introduces amendments to the regulations relating to political outdoor advertising. Political outdoor advertising would be allowed in a location and under the conditions prescribed therefor by the local government and the maximum size of an outdoor advertising poster would be 1 m2. Pursuant to the Bill, a political parties financing surveillance committee will be formed for supervising of the financing of political parties, including one official from the National Audit Office, the Office of the Chancellor of Justice, the Security Police and the Tax and Customs Board, respectively. According to the Bill, the National Audit Office would be responsible for the organisation of operational and clerical support to the committee. The Bill was sent to the second reading. 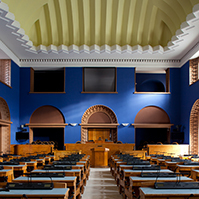 The Estonian People’s Union Faction as the initiator withdrew from the legislative proceeding the Bill on Amendments to § 125 of the Political Parties Act (112 SE).